Say Konnichiwa! to the newest color collection from Gelish and Morgan Taylor. 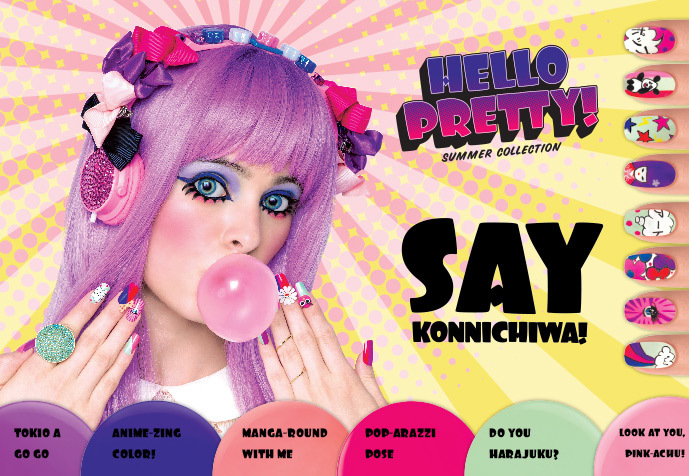 Inspired by Japanese street style, Hello Pretty! features bright pops of pink, adorably cute purples and a little bit of fun for everyone. Now you can have the same summer color in Morgan Taylor Lacquer that matches your Gelish Soak-Off Gel Polish.